Here are the facts: people of color make up 37% of the U.S. population, but only 10% of children’s books published in the past 21 years include multicultural content. That is a disconcerting gap. We know that children benefit from seeing people like themselves in the books they read, which means that for an organization working in urban schools, CLI’s collections must be as diverse as the populations we serve. Thanks to studies conducted by the Children’s Cooperative Book Center, we have statistics like the ones above that help us understand why it is so difficult to find the quantities of great multicultural picture books that we need. There just aren’t enough books. at number rises to 80%. 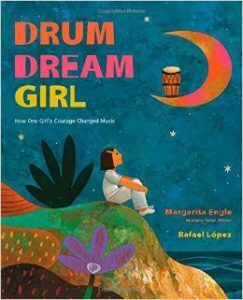 Drum Dream Girl by Margarita Engle and Rafael López, the story of Millo Castro Zaldarriaga, the Chinese-African-Cuban girl who became a professional bongo player despite Cuba’s taboo against female drummers. 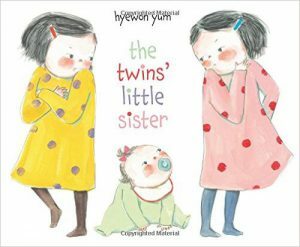 The Twins’ Little Sister by Hyewon Yum, in which twins compete for their mother’s attention – and their baby sister’s affection – and finally learn to share. 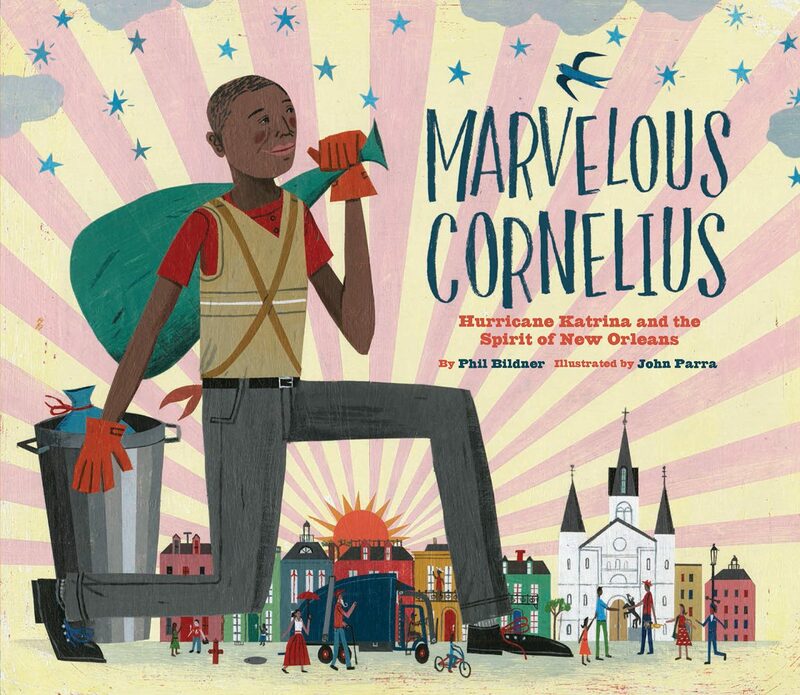 Marvelous Cornelius by Phil Bildner and John Parra, inspired by the life of Cornelius Washington, a sanitation worker in the French Quarter of New Orleans, who helped the city recover after Hurricane Katrina. I also help close the gap by connecting with authors and illustrators of color so that we can bring them to CLI. This month we have invited Angela Dominguez to speak to CLI teachers about coming to the United States from Mexico as a child, how she became a writer, and the role of diversity in her picture books. It is so important to give our children access to an array of high-quality books that are as diverse and vibrant as the world they live in. I am lucky to be in a position that gives me so many opportunities to promote diversity in children’s literature, but there are plenty of ways that every stakeholder can help close the gap. Check out diverse children’s books from your local library and share them with the children in your life. Keep these books in circulation. When shopping for children’s books, choose ones by and about people of color. Ask the sales people for recommendations. This will communicate that there is a demand for these books! Read Lee & Low’s blog on diversity in children’s literature and share what you learn with other educators or parents. Talk to your friends about your favorite multicultural children’s books. Spread the word!